When I chose to make UCLA my home for the next four years, I was afraid. Of course, in many ways I was absolutely in love with my new school, but yet I still found myself worried that UCLA didn't fit me. One of my biggest fears was finding friends who would share my love for the outdoors in a school so deep in the city. So in my first year, when I heard about UniCamp in Fall, I was hooked. I had the opportunity to share my love for the outdoors with the next generation of youth--our future. 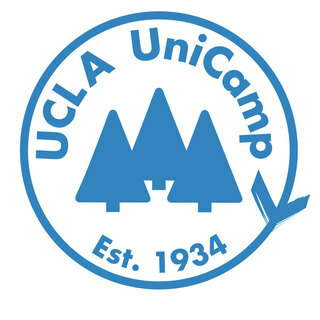 To my great disappointment, I discovered UniCamp didn't accept applications until Spring, and I was heartbroken. So I waited. Patiently I went through school, but never forgetting camp. When the time finally came, I submitted my application. One part of the application was to order my preferences for the different sessions of camp I might be assigned to. At the time, I didn't really care much about any of the initiatives each session was focused on, and I remember half-heartedly ordering my preferences to finish and submit my application as fast as I could. I was granted an interview with The Village Session, and as part of my interview I was asked what The Village Nation's mission meant to me. Much to the disappointment of my interviewers, I answered honestly that I had no idea what The Village Nation's mission even was. Days later I was called and notified that even despite my lackluster answer, I had been accepted into The Village Session. I was overjoyed. Excited. Ready to do what I had waited for a whole year to do. I clearly remember my first experience with The Village Nation. Sitting on the hard floor of the Pauley Pavilion Club a giant of a man named Look Out Below and a fiery woman named Mardis Gras introduced themselves to us, and more importantly, introduced their passion. This was my first ever experience with activism for social justice. Slowly but surely, I became convinced of their mission. Their passion starting to become mine. Camp changed everything for me. It's one thing to talk about empowerment. It is quite another to witness and watch as your very own campers find their internal fire. To see them reject their prior restraints and to truly begin to believe that they are capable and destined for greatness. I came out of camp with much more than I had bargained for. I would have never known going into it that I would find something that I now feel so passionately about. Naturally, last year I returned to the Village for another season of camp and saw again what The Village makes possible. This year, I'm blessed with the opportunity to devote my efforts as Program Director. This year it is my goal to make the experience that I have seen over the past two years possible once again for our campers. With the ever-increasing costs of insurance, transportation, food, certifications, and staffing, UniCamp relies more and more on the gifts of donors who share our passion--our goals and their goals being one and the same. I need your help to make camp possible for my campers. Your gift, no matter how large or small, goes to giving a child the opportunity of a lifetime. Help me change lives. Help me make camp happen. Go Jakey!! So proud of you and all you’re doing — kick booty and HBD!!! So proud of my older brother for being a part of this awesome organization! You will do wonderful things!